Choose the standard LED light or upgraded VisionX LED light. 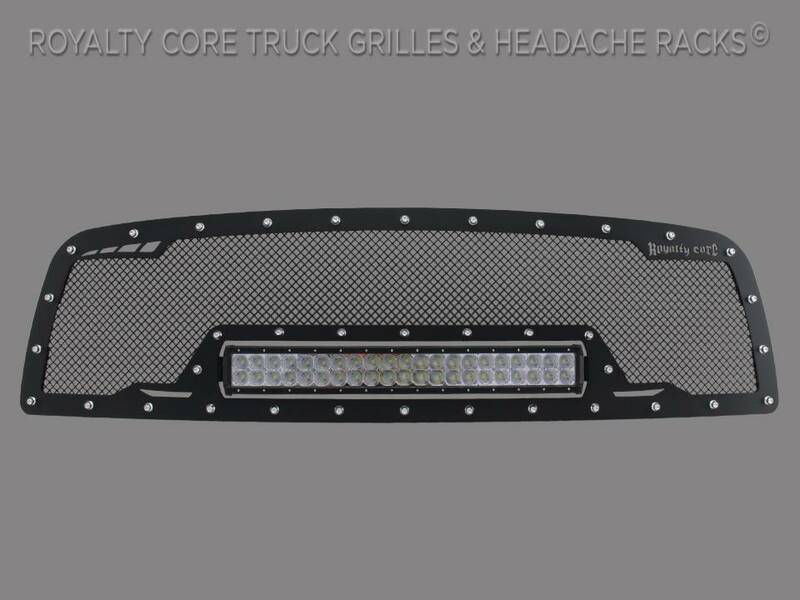 Royalty Core's RCRX LED Race Line Grille cultivates an overall stealth appearance with stainless 12.0 sport mesh surrounded by a studded sleek grille frame with smooth lines. 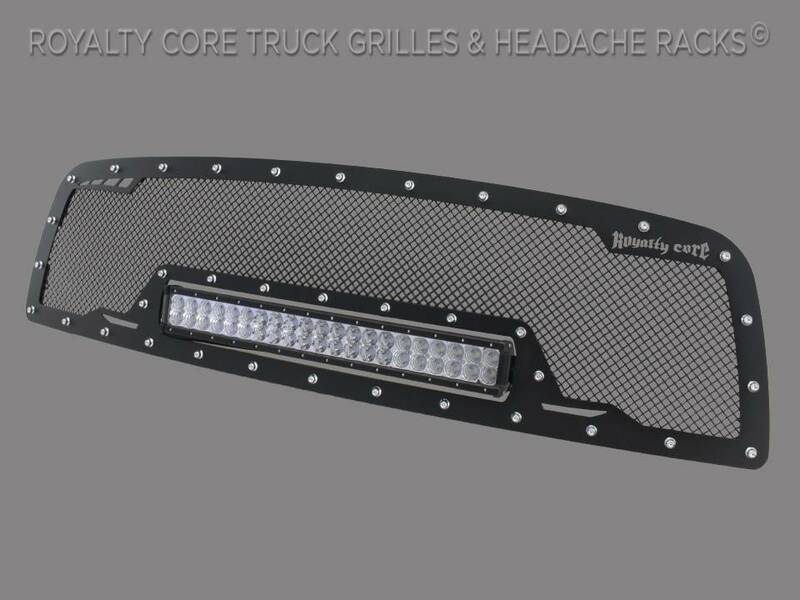 Royalty Core's integrated LED power, Iconic stainless triple chrome studs, T304 construction, and race proven diamond mesh combine one killer RCR design to out-perform and outlast the competition. 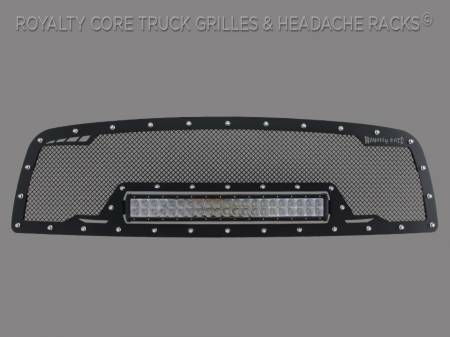 This grille includes an insanely powerful mounted and balanced 23 inch LED light bar. Including a weatherproof Deutsch connector with plug-and-play, polycarbonate lens, and isolated rubber mounts for vibration control. An updated multi-volt electronics increase output with a seamless beam pattern featuring a 50,000 hour lifespan. 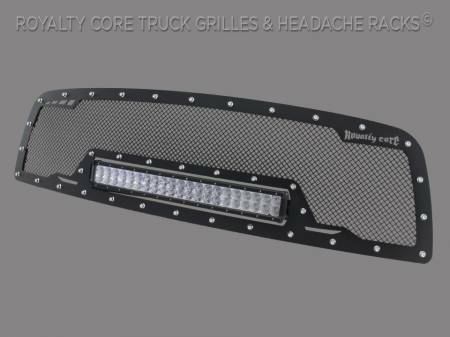 Being manufactured from extruded 6061 aluminum, this LED is tough enough for all conditions. The front has the ultimate protection of the unbreakable polycarbonate lens.